On the precipice of one of the most consequential midterm elections of our lifetime, top political strategist Symone D. Sanders urges us to heed the bold legacy of Fannie Lou Hamer and her political crusade. Famously proclaiming, “I am sick and tired of being sick and tired,” Hamer was a rabble-rouser who worked with an intergenerational coalition to get things done. Before the 1964 DNC Convention, the civil rights community knew Hamer’s work was making a difference. August 22, 1964, was merely the day that mainstream America was introduced to her greatness. She walked forcefully into a space that tried to exclude her, and she created room for herself—and for us. 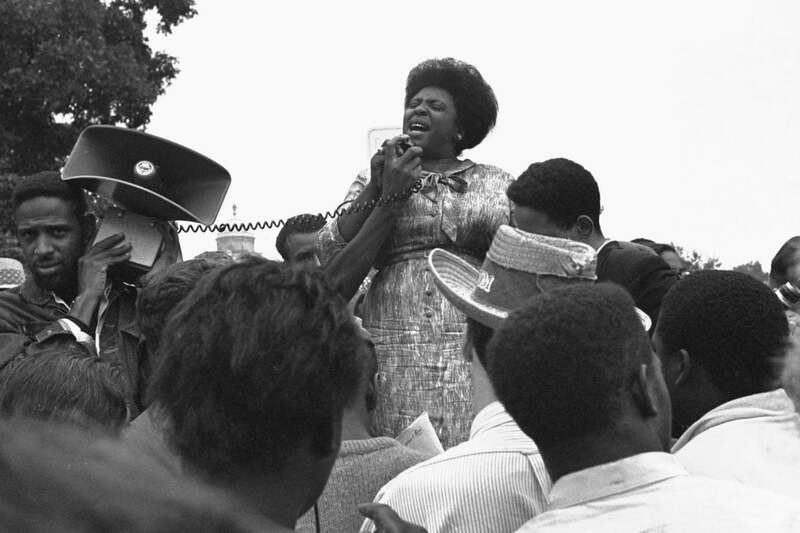 Standing in the gap for the millions of Black women who would follow her, in 1964 Fannie Lou Hamer spoke for all of us. Fifty-four years later, one of the most far-reaching midterm elections of our lifetime is before us. And while Black women have emerged as loyal participants in the political process, often throwing our support behind Democratic candidates, recent data suggests we are sick and tired of being taken for granted by the political apparatus as a whole. In 2016, 94 percent of all the Black women who voted selected Hillary Clinton in the presidential election, but overall African-American turnout was down. Among Black women, according to the Pew Research Center, the turnout was 64.1 percent in 2016 versus 70.7 percent four years earlier. Meanwhile, turnout among White women increased to 66.8 percent in 2016, up from 65.6 percent in 2012. A 2018 survey by the Black Women’s Roundtable and ESSENCE (see “Black Women Rising” on page 88) delved deeper, finding that while 98 percent of Black women polled are currently registered to vote, their support for the Democratic Party has dropped significantly, from 85 percent in 2016 to 73 percent just two years later. To be clear, our votes should be earned. Attention needs to be paid to issues that affect us, and politicians and political parties need to invest in our communities if they want our support. Black women should not blindly give our votes to any one political party or candidate, and no one should expect us to. But we also have to do our part. The life and legacy of Fannie Lou Hamer teaches us that we have to demand what we are due. We have to be willing to march into the convention hall and make our case in the face of misogyny, racism and classism. We must actively put pressure on the levers of power to bend them to our will. We cannot afford to waver in our political participation, because we have the most to lose. If Roe v. Wade is overturned, for example, it is women of color who will suffer the most. If the current administration and its allies are successful in gutting the Affordable Care Act, it is women of color who will be locked out of viable health care options for ourselves and our families. Freedom fighter Fannie Lou Hamer endured being threatened, beaten and shot at to secure the right to vote. She spent her life advocating for Black folks to have the right to vote while serving as the vice-chair of the Freedom Democratic Party. And, with the wealth gap more like a canyon between Black and White Americans, it is Black women who are disproportionately affected. We have the most at stake. Lauren Underwood in Illinois, Jahana Hayes in Connecticut, Stacey Abrams and Lucy McBath in Georgia, Ayanna Pressley in Massachusetts, Deidre DeJear in Iowa, Mayor Muriel Bowser in Washington, D.C., and Congresswoman Karen Bass in California are a few of the Black women on the ballot this fall. These are pivotal times in our politics. The pendulum is swinging, and very soon this particular battle will be lost or won. The questions will then be: Did Black women show up at this critical time? Did we help increase the number of Black women in elected offices around the country? Will we be able to claim victory in making health care, the economy and the criminal justice system more equitable? What will our legacy be? Positive answers to these questions will not come without our active participation. We have to vote, we have to march, we have to protest, we have to organize, we have to support local organizations, we have to leverage our positions to help uplift all of us. We cannot take no for an answer. We cannot get tired. The powers that be don’t intend to voluntarily give us space, so like Fannie Lou Hamer, we have to take it. On the day Hamer spoke before the 1964 DNC Convention, she pushed her way through a crowd of men to the front of the room. Armed with only a white purse and suited in a floral dress, she sat down at the table and delivered her testimony. When she was finished, she got up, grabbed her purse and walked out. No notes, no bells and whistles. She simply went back to doing the work. I stand on the shoulders of Fannie Lou Hamer. It is in recognition of her spirit that I fight every day to ensure that the voices of young people, progressives, working people and Black women will be heard and counted. This moment, this election, this is for Fannie. 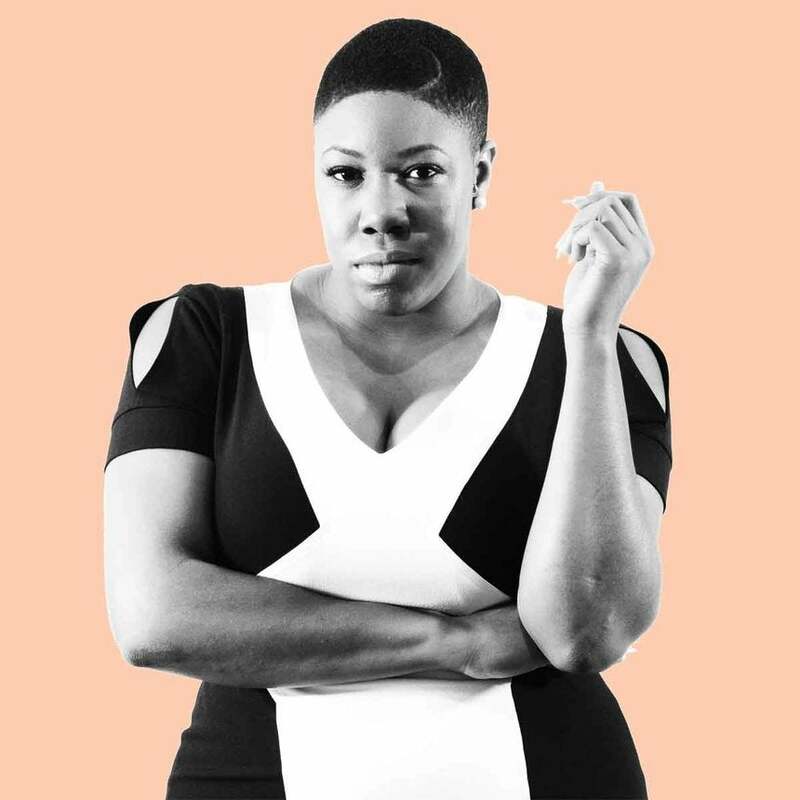 Strategic communications consultant Symone D. Sanders served as national press secretary for Bernie Sanders during the 2016 presidential campaign and is currently a CNN political commentator.